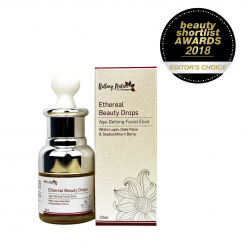 Supercharged with anti-aging and collagen-boosting active ingredients, this luxuriously ultra-moisturizing, lightweight antioxidant facial serum helps to improve skin elasticity, delay visible effects of aging, firm facial contour and protect the skin from environmental stressor with its free radical scavenging properties to deeply revitalize, firm and lift your skin for immediate glow. 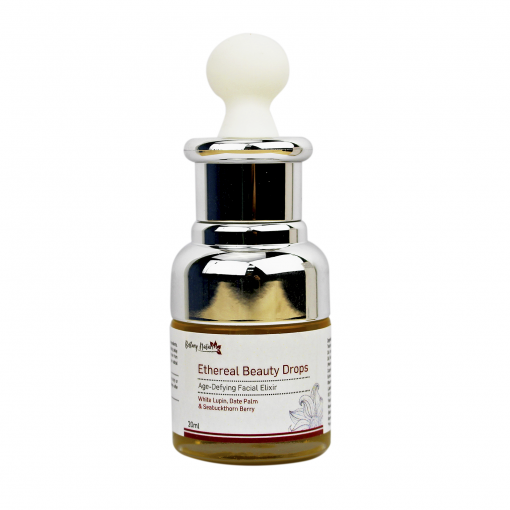 Provides elasticity and reduce appearance of fine lines and wrinkles. Targets age spots and other signs of aging. 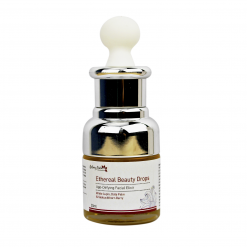 Stimulates the generation of good quality collagen. Remodels the facial contour and firms sagging skin area. 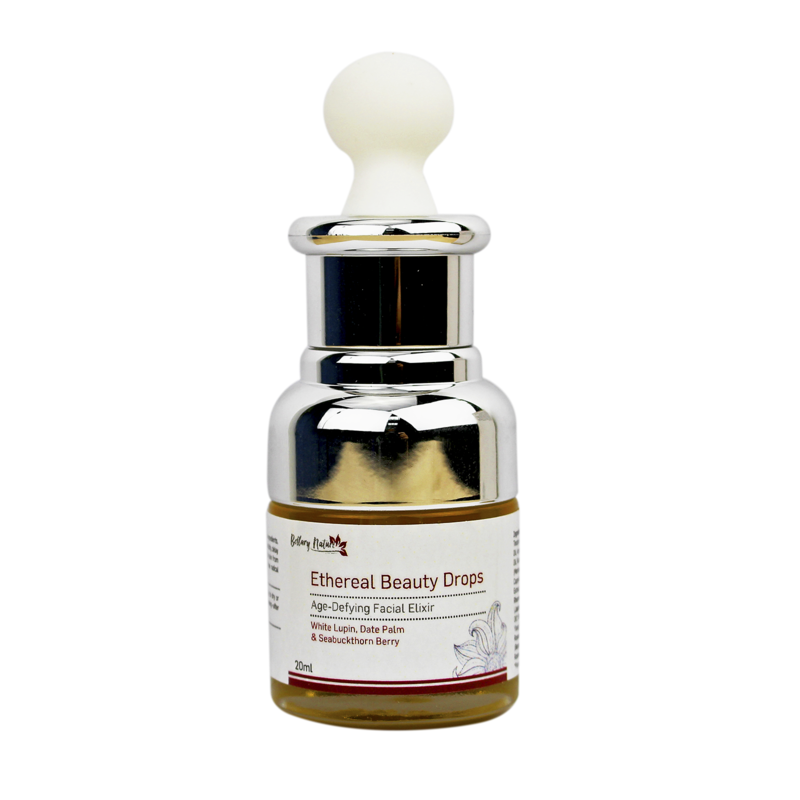 Improves natural defense mechanism against oxidative stress and protects skin from environmental damage. 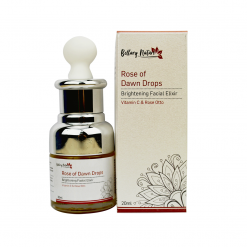 Deeply moisturizing to improve moisture level and restore your skin’s youthfulness. 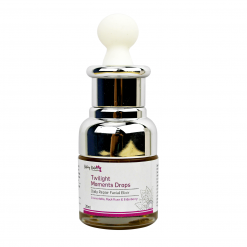 White Lupin Seed Extract stimulates collagen production and firms, lifts and plumps sagging skin for improved elasticity. 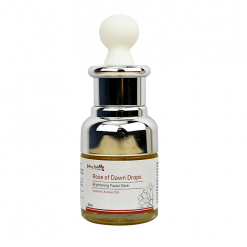 Date Seed Extract has significant anti-wrinkle, DHEA-like and antioxidant properties to delay visible signs of aging. Seabuckthorn Berry is a super source of one of the rarest Omega-7 fatty acid, which can keep your skin looking firm and lifted. 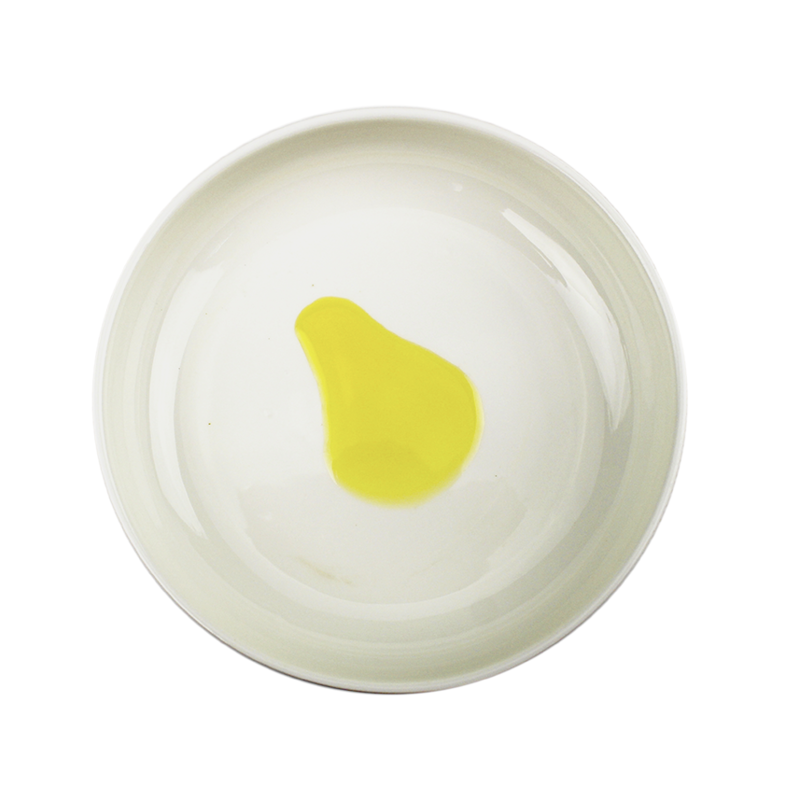 Camellia Seed Oil is brilliantly moisturizing whilst tightening and smoothing skin tone. 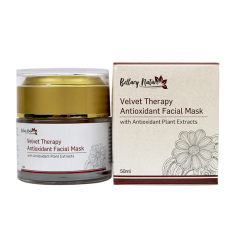 Blackberry Oil stands out for its generous Vitamin C content to help slow skin aging and stimulate collagen generation. 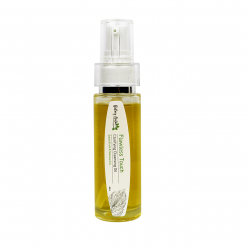 Moringa Seed Oil is a natural healing emollient that promotes cell growth, delays damages and minimizes fine wrinkle lines. Abyssinian Seed Oil has intense moisturizing, nourishing and wrinkle reduction properties. Baobab’s regenerating and toning action aids mature skin improve its elasticity and smoothness. Sandalwood’s aroma is grounding and its toning effect prevents sagging and evens out skin tone. 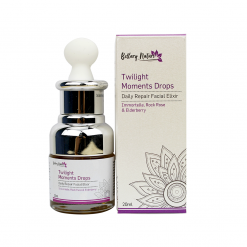 Frankincense Oil helps protect skin cells and lift skin to naturally slow signs of aging. 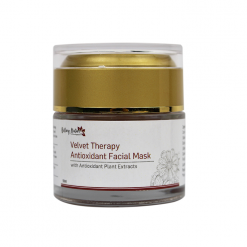 Suitable for all skin types; in particular aging, mature or dehydrated skin. Dispense two drops onto palm and rub hands together. Gently apply to dry or slightly moist face and neck. Use every day – morning and evening – after cleansing. It can be used alone as a serum before applying skincare or blend into your daily lotion/cream to create your own bespoke skincare. 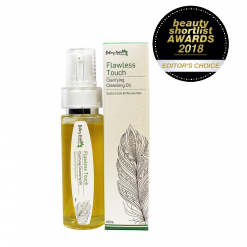 Ingredients: Camellia Oleifera (Camellia) Seed Oil, Carthamus Tinctorius (Safflower) Seed Oil, Crambe Abyssinica (Abyssinian) Seed Oil, Argania Spinsosa (Argan) Oil, Adansonia Digitata (Baobab) Seed Oil, Rubus Fruticosus(Blackberry) Seed Oil, Moringa Oleifera (Moringa) Seed Oil, Helianthus Annuus (Sunflower) Seed Oil, Caprylic/Capric Triglyceride, Lupinus Albus (White Lupin) Seed Extract, Phoenix Dactylifera (Date) Seed Extract, Hippophae Rhamnoides (Seabuckthorn Berry) Fruit Oil*, Jasminum Grandiflorum (Jasmine) Flower Oil*, Santalum Austrocaledonicum (Sandalwood) Oil*, Boswellia Carterii (Frankincense) Oil*, Cananga Odorata (Ylang Ylang) Flower Oil*, Rosa Damascena (Rose) Flower Oil*, Aniba Rosaeodora (Rosewood) Wood Oil*, Citrus Aurantium var. Bergamia (Bergamot) Oil*, Coriandrum Sativum (Coriander) Seed Oil*, Rosmarinus Officinalis (Rosemary) Leaf Extract, Tocopherol.